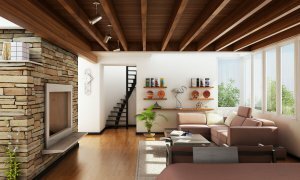 HIGH TIEDS Interior Exterior Design Company provides Interior Design and Architectural Designing Project Consultant, 3D Interior Design, Floor Plans Design through its Best Interior Designers based in Ahmedabad, Gujarat, India. We Providing Services for Home Interior Design, House Interior Design, Bedroom Interior Design, Kitchen Interior Design, Office Interior Design, Modern Room Interior Design, Interior Architectural services to Ahmedabad, Baroda, Surat, Gujarat, India. Our Services: We do Residential and Commercial Interiors with Unique Interior Design Ideas or Concept services along with Architecture Building Design Services, Turneky Interior Design, 3D Interior & Architectural Design, Landscape and Garden Designing, Custom Furniture Design Consultancy, China Sourcing for Furniture and Lights. Residential Interior Design: Home Interior Design, House Interior Designs, Villas, Farm Houses, Apartments, Flats Interior Design, Dining, Bed Rooms, Living Area, and Modern Modular Kitchens. Commercial Interior Design: Smart Modern Offices, Banks, Hotels, Hospitality, Restaurant, cafes, Health Care - Hospitals, clubs, Retails, Malls, Jewellery Showrooms, Spa, Theme Restaurant, call centres, Play Schools, auditoriums, Corporate Office Interior Design & Decoration, Interior Designing Space Management and all kinds of Interior Designing Solutions. Contact us for a free interior design quote.